As a seasoned relocation company we know better than anyone how difficult and time consuming a move to another home or office can be. So if you are about to move from one place to another and you don’t have the experience or confidence to handle it personally – have no worries and contact our company to hire some affordable pro help. 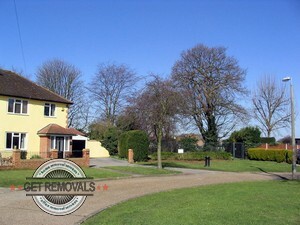 We have been conducting removals in Hampton Hill and the rest of Greater London for many years now. Over the years we’ve had the chance to work on all types of removal projects giving us the experience and confidence to handle any job. So you can be certain that nothing can surprise us during the execution of your removal. 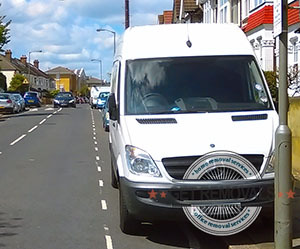 To date we have always managed to provide to our clients removal services of the highest possible quality and we are certain that you will be fully satisfied with our work, as well. We realize that we may sound a bit overconfident but us being ambitious professionals that always aim for excellence give us the motivation to back our words. In fact when it comes to removals in Hampton Hill we are known as the moving company that sets the standard for flawless moving services. Professional grade removal services are our field of expertise. Get Removals offers private and business customers a choice of many versatile and affordable relocation services covering anything from basic house removals to full scale commercial property relocations. We work with the most dedicated and highly skilled movers around so there is no need to worry about damage or loss of items in our care. 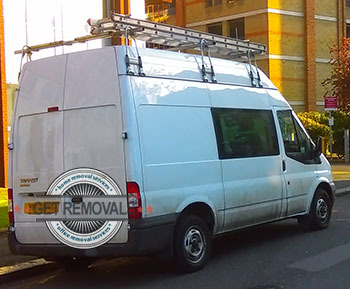 The removal teams will expertly handle all stages of the removal from A to Z. The last thing that we want to share with you about our moving company is that we are always eager to meet new people and help them with their relocations. No need to wait anymore – give us a call and we’ll discuss the details of your upcoming removal. Don’t forget you can also use the free quote request form on this website. We are based in the London area of Hampton Hill, formerly known as New Hampton, which is part of the borough of Richmond upon Thames and lies in the TW12 post code district. Hampton Hill is neighbored by the areas of Whitton and Fulwell from the north, Hanworth from the west, Teddington from the east and Hampton from the south. Hampton Hill is home to four churches the most noted of which is St. James’ Church which is a Church of England and was built in 1863. The area isn’t linked to the remainder of London by its own tube or railway station. Instead the inhabitants of the area must use the nearby stations of Fulwell, Hampton and Teddington. The latter station is the busiest of the three as it serves approximately 2.5 million people on an annual basis. Hampton Hill, formerly known as New Hampton is a suburb of southwest London. From the middle ages, up to the arrival of the railways in the eighteen hundreds, there wasn’t too much going in in Hampton, however with trains accessing the area, Hampton Hill was on the path of becoming a proper London suburb. Interestingly enough, the lack of urban development in the area has resulted in a number of Grade II listed buildings, which aren’t really buildings!